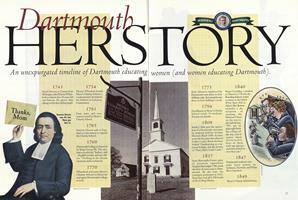 An unexpurgated timeline of Dartmouth educating women (and women educating Dartmouth). Women have not just added new courses to the curriculum. They have helped change the way material is taught. Was your freshman trip an ordeal? Try again, with ten femme essentials. 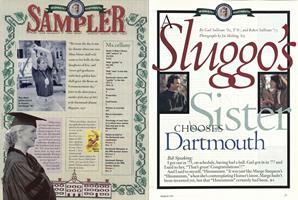 Oh, but of course you can get a tip-top education at Smith and Wellesley. But there are some things you just cannot learn without men.